"We are one community, one valley, one water." Local governments make planning and development decisions within their jurisdiction, and most Okanagan local governments manage their own water utility (see also Water Managers). The models produced through this project provide new tools to help local governments understand water useVolume or rate of water diverted or withdrawn from a water body (eg a stream, lake, or groundwaterWater existing below the ground surface in aquifers aquiferAn underground formation that stores groundwater) for use by humans on the land surface. Actual water use is determined through direct measurement. Water demand is an estimate of actual water use. 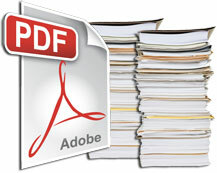 within their jurisdictions and inform development plans. Development of drought response plansStrategies that outline the actions to be taken before, during, and immediately after a drought to reduce its impacts. by each local government will reduce the impacts of water shortages on residents, farms and businesses. The results of this project reinforce the need for water conservation programs to reduce demand, including residential metering and shifts toward more drought tolerant landscaping and efficient irrigation practices. Currently, less than one quarter of domestic water is used indoors, which suggests that relatively minor changes in outdoor watering practices or lawn size will free up significant amounts of water for urban needs. Penticton is using it to refine irrigation plans. 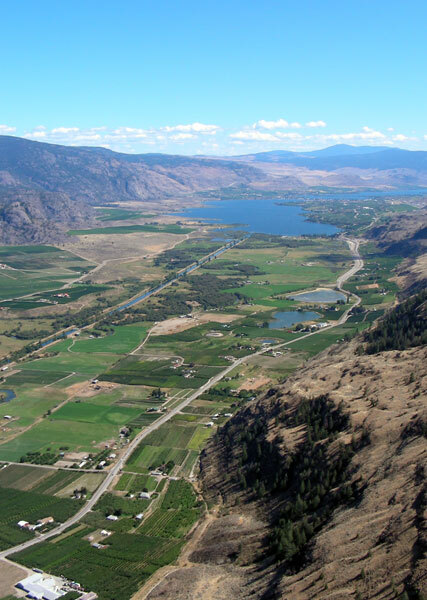 The Regional District of Okanagan-Similkameen is creating indicators for their regional growth strategyA local government strategic plan to promote sustainable human settlement and efficient use of public facilities, land and other resources. and studying water useVolume or rate of water diverted or withdrawn from a water body (eg a stream, lake, or groundwaterWater existing below the ground surface in aquifers aquiferAn underground formation that stores groundwater) for use by humans on the land surface. Actual water use is determined through direct measurement. Water demand is an estimate of actual water use. in an area with depleted aquifers. Vernon will use the models for its liquid waste management planA written record of a community’s decisions and plans for dealing with liquid wastes, including sewer discharges, storm-water runoff, sewer overflows, sewage treatment plant sludge, effluent, septic tanks, and more. update. The models and results are also being used in studies by the International Joint Commission to renew the operating orders of Zosel Dam on Osoyoos Lake. The Okanagan Basin Water Board and 13 of its partners have been presented with the "Award for Excellence in the Water and Waste Community" by the BC Water and Waste Association (BCWWA). The award was presented in recognition of the partnership’s work on the three-year extensive Okanagan Water Supply and Demand Study. For the full news release, click here. The Okanagan Basin Water Board, in partnership with the BC Ministry of Environment and with significant contributions from the BC Ministry of Agriculture, the BC Ministry of Community, Sport and Cultural Development, Environment Canada, Agriculture & Agri-Food Canada, Fisheries and Oceans Canada, and the Okanagan Nation Alliance, is working to establish better systems to track natural water flows, establish water-use patterns, and estimate how these will change in the future. Okanagan WaterWise, an Okanagan Basin Water Board outreach initiative, encourages conserving & protecting the Okanagan’s most valuable natural resource - water. Also visit OkanaganWaterWise on Facebook! Search by keyword or browse by topic below, or perform an Advanced Search (opens in new window). 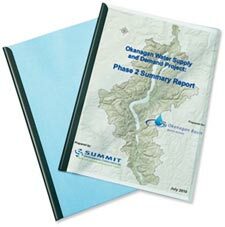 All data collected by the Project is housed in the Okanagan Water Database and managed by the OBWB. Requests for specific data sets and models should be directed to the OBWB.